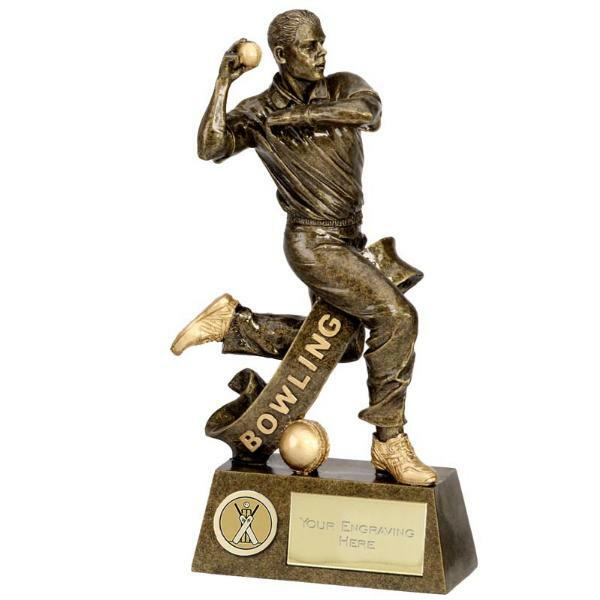 This is an engraved Bowling award which can be personalised for the bowlers in your cricket team. The Pinnacle Bowler award is 18.5cm high. The price for the cricket bowler award includes up to 50 characters for your teams bowler engraved free, with additional letters charged at 15p a letter. The postage rate for the engraved bowler award is band B. We have cricket awards for all members of your cricket team!